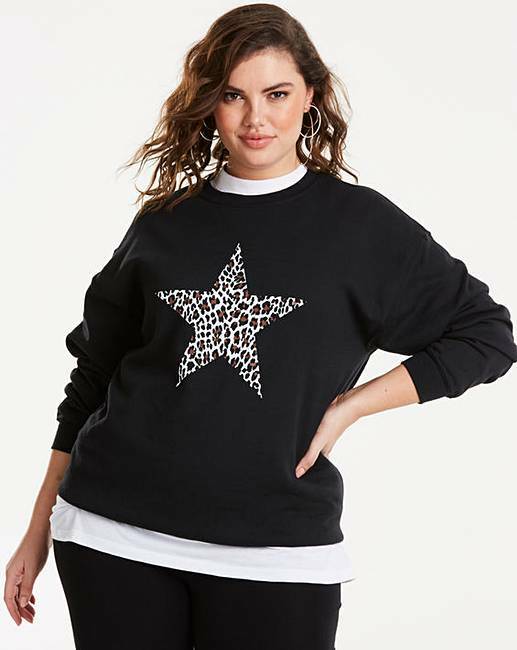 Leopard Print Star Sweatshirt is rated 3.8 out of 5 by 8. 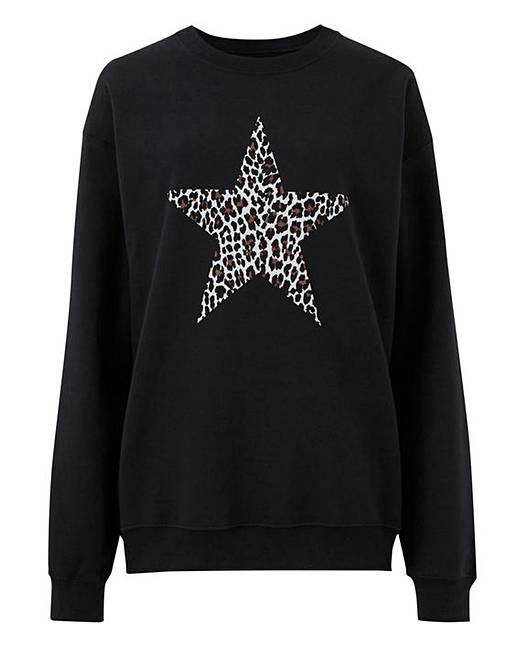 Our leopard print star sweatshirt is bang on-trend for this season. In a fleece back fabric, this statement piece is a wardrobe must-have. S (8/10), M (10/12), L (14/16), XL (16/18), 2XL (20/22). Rated 5 out of 5 by SuzyBlu from Absolutely adorable! I love this sweatshirt! Love love love! 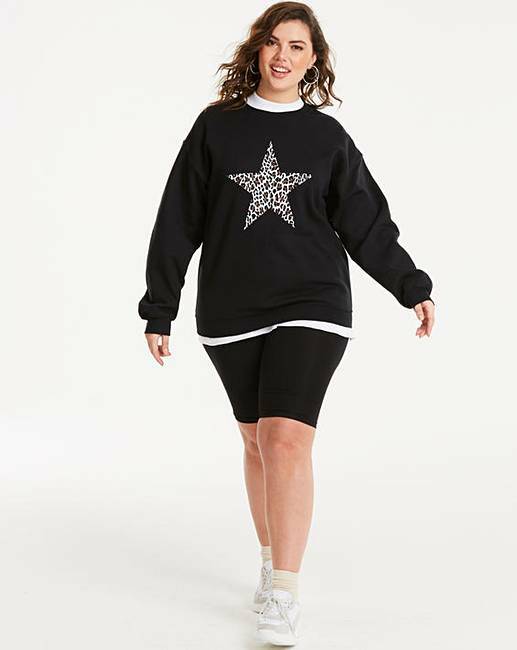 The oversized look as fabulous, and the fit and shape of this makes you look like you MEAN it to be oversized, not that you've borrowed your husbands top (not that I could even borrow my husbands clothes, hes approximately a size 14 womens :) his clothes look sprayed on me!) The star is such a fabulous touch, stand out and I have had several comments asking where I purchased it. Its for those Sundays for trainers, leggings and comfort, when you might do a bit of shopping then pop to the pub. It really is that versatile, I could dress it up with pleather jeggings and biker boots too. Rated 5 out of 5 by Lippylady from Fab design nice length I bought this as I was after a sweatshirt that covered my bum and hips but was not too oversized or too long. This was great,nice quality and a good fit hides your bigger parts without making you look bigger. Rated 5 out of 5 by Gemba from Very nice I’m a tall girl and this is a lovely length, with nice long sleeves too. Other talk girls will understand why I’m happy about the sleeve length!